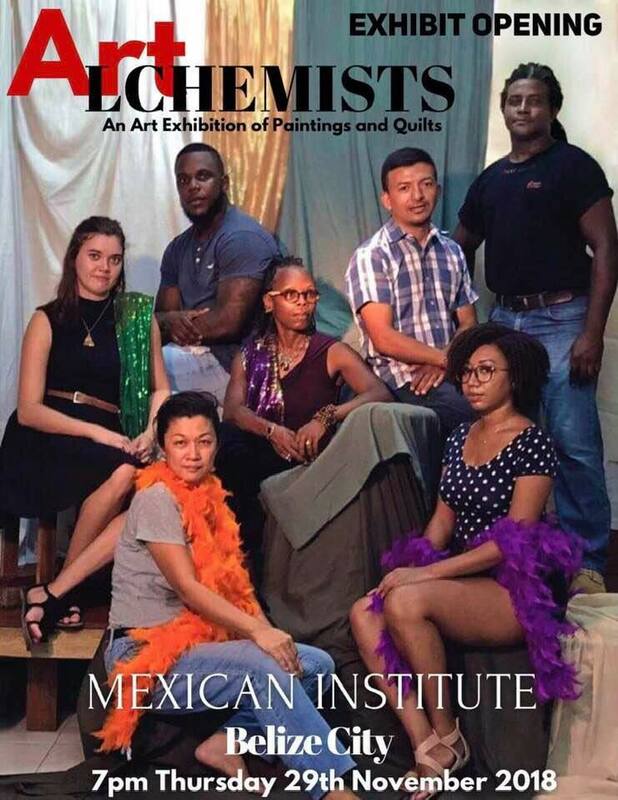 The Embassy of Mexico in Belize is honored to announce the opening of the exhibition entitled: Art/Alchemists, on Thursday November 29th, 2018 at 7:30 PM at the Mexican Cultural Institute in Belize City. According to a release from the embassy, this exhibit will combine eclectic styles, mediums, colors, textures and shapes, while simultaneously creating exalted value. The Art Alchemist Exhibition is a visual expression of how to follow one’s heart no matter what obstacles may arise. The art work is a testament of persistence, combining color, shape, age, value and fascination. Every painting represents a story, as if a chapter in a novel. Each piece provides a sight into the artist’s small world, while expanding the audience’s view and perspective. Collectively, the exhibit is a meditation on love and that which frightens, stuns, satisfies and surprises us at the same time. It explores the unknown, feelings: the little things that bring joy to life experience. Valerie Penner, Ilona Smiling, Keoin George Griffith, Masani Live, German Raul Figueroa, Terryl Godoy and artist/curator Yaoling Lee will share their artistic powers at the event. Keion George Griffith, also known as “Artist,” began his appreciation and passion for art since the age of 12. At the Anglican Cathedral College, he sculpted his artistic talents into drawing and painting. Keion earned an Associate’s Degree in Fine Arts from St. John’s Junior College and in 2015 became an art teacher at his high school Alma Mater.